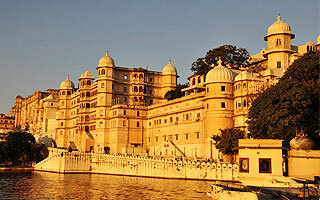 Golden Triangle Tour is the prestige and is a tour which is a voyage to the Grand and Royal life of bygone princely India. 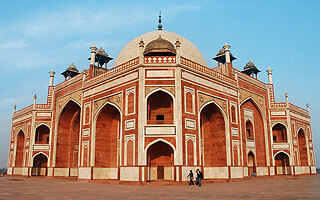 The grandeur of the time can be seen from the monuments, places and forts of Delhi, Agra & Jaipur. The charm of the tour gets double as in this tour you will not only get a chance to experience the royal life but also the wildlife heritage of Rajasthan too. The thrill reaches to its top as the tour will take you to the state of most wildlife sanctuaries and National Park – Madhya Pradesh. The tour becomes more exciting and multiples its charm on having visit to Khajuraho group of Temples. So throughout from the beginning to final day of your tour each day there is something new to do and unique to explore. Plan Our Travel India's representative will welcome you at the arrival lounge in Delhi. You will be taken to the hotel. Our representative will assist you during your check-in at the hotel. SHOPPING ALERT: Kashmiri carpets the aesthetic craft from Kashmir is now available in Delhi. Please note bargain for the best deal, and get a bill with guarantee card for your purchase. SHOPPING ALERT: Royal elegance of Jaipur jewelry is amazing designs and the crown of Jaipur shopping fiesta. Statutory Warning - Bargain to get the best offers, and get bill with originality certificate for your purchase. Morning after breakfast drive to Ranthambore. Arrive and check-in at your hotel. After brief leisure, proceed for an evening jungle safari in an open cantor for wildlife viewing. If lucky, you may get a chance to encounter the king of the jungle in his own kingdom. Ranthambore National Park is best to visit from October to March. Depending upon the season Park’s opening and closing timing differs. Morning proceeds for the Jungle Safari. A naturalist will guide you to spot the animals. Besides various species of animals Ranthambore is home to various species of birds. After Safari back to hotel. 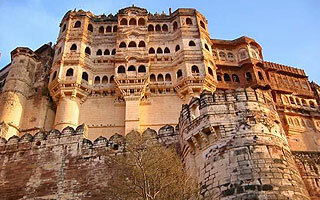 After a brief leisure, proceed to visit Ranthambore Fort. Morning after breakfast ,drive to Bharatpur. On arrival check into the hotel. Later after freshen up proceed to Visit the Famous Birds Keoladeo National Park. Enjoy the Rikshaw ride inside the National parK. Morning after breakfast drive to Agra. Enroute visit Fatehpur Sikri. 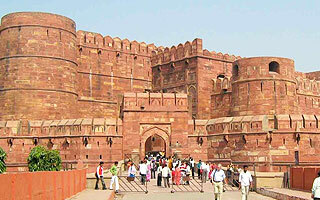 On arrival Agra, our representative will assist you and later proceed for sightseeing of Agra. Marble work closely to be explained by trained professional. SHOPPING ALERT: Get the trendy Agra Marble work an artistic creation from Mughal era in Agra. Remember to bargain for good deals and ask for a bill with a guaranteed card for purchase. Later at an appropriate time you would be transferred to the Agra Railway Station to board the overnight train to Khajuraho. On Arrival in Morning our representative will meet and assist you at Khajuraho Railway station and transfer you to the hotel, Check-in to the hotel, after a brief leisure, proceeds to visit monuments & temples of Khajuraho. Kandariya Mahadev Temple, Brahman, Vamana and Javari temple . The other attractions are the Jain Temples of Khajuraho. Morning after breakfast, drive to Bhandhavgarh on arrival check in to the Hotel. Bandhavgarh National Park is set mist the Vindhya Hills of Madhya Pradesh. This national park has a rich population of tigers and hence known as the white tiger country. Once this reserve was the game reserve of the Rewa maharajas. In the afternoon go for a jungle safari in the park. After safari return back to your hotel. Later enjoy the campfire and dinner. Morning proceed for another jungle safari into Bandhavgarh National Park in an open jeep for Tiger tracking and bird watching. You can choose to take an elephant safari to feel the real thrill of watching Indian tiger in the jungle openly. After safari return back to your hotel and have lunch and brief leisure. On the 12th day of India Wildlife Safari drive to Kanha. Kanha National Park is the inspiration jungle of the famous character Mogli mentioned in the book of Rudyard Kipling. Kanha National park is located in the Mandla district of Madhya Pradesh. This is also a reserve of Project Tiger. The main habitats of the park are Indian Fox, Sloth bear, Striped hyena, Jungle cut, Leopard, Mouse Deer, Chausingha or four horned antelope, Nilgai, Ratel and Porcupine. On arrival take the jungle lodge. In the afternoon explore the nearby areas. After lunch take rest till late afternoon. If you want to enjoy the real adventure of jungle then can go for another safari.